International travel gives your child an opportunity to experience other cultures and customs, and is a great way to broaden her understanding of the world around her. If you plan to travel abroad with your kids, these tips will help ensure a successful adventure for the whole family. Time it Right. Plan travels abroad to be ten or more days. This includes two days in route. Put it in Perspective. 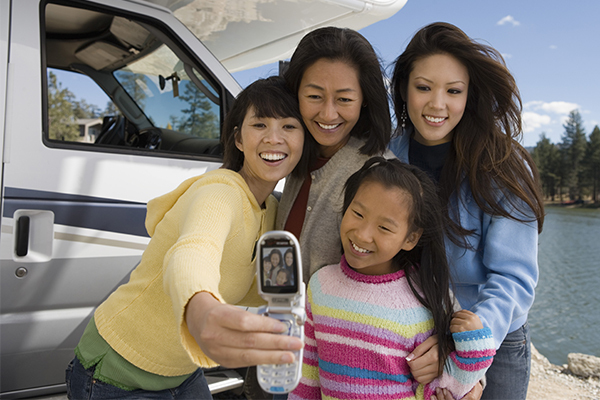 Establish trip priorities based on your child’s age, personality and interests. 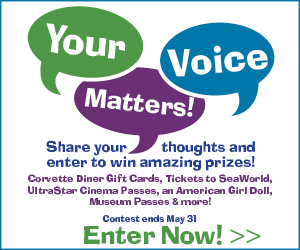 Focus on places your child has heard about or may want to see. Mix Things Up. 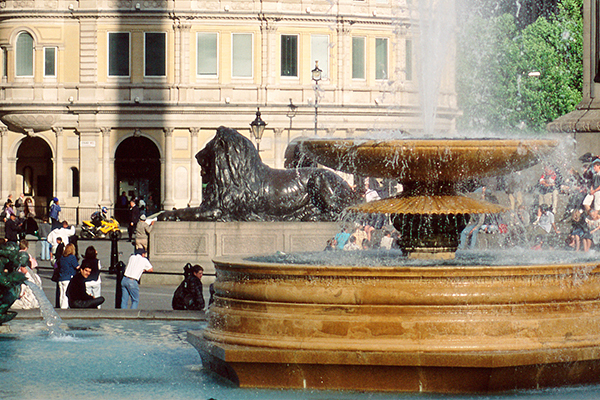 Don’t over plan or sightsee all day, everyday. Mix structured activities with free time for your family to play at the park, shop or swim at your hotel. Take a Tour or Map it Out. Consider taking a tour to make your visit more interesting. If you opt out of a tour, get a map of the site in advance to highlight items you want to see. At-Home Primers. Look at globes and maps before your trip to get a distance perspective. Read child-friendly travel books and fiction titles set in the destination; watch related DVDs and take virtual tours of sites online. Teach your child a few basic words from the native language. Journal. Purchase a journal of your child’s choosing. Encourage him record what he sees and thoughts about his experience. Take a child-friendly camera so he can take pictures and create a scrapbook. Entertainment. Before flying, find out what kind of entertainment is on the plane. Consider taking a portable DVD player, favorite books, travel-size games and plenty of snacks. Jetlag. Ease the discomfort of jetlag by staying awake the first day as long as you can. Leave that day open and flexible. Accommodations. Many hotel rooms in historic districts are small with twin-sized beds. Email the hotel in advance and ask about bed and room sizes. Consider connecting rooms to give your family more space. When traveling with young children, choose one accommodation that is close to everything you want to see. Culinary Adjustments. In many foreign countries dinner may start later than what is customary to your family. Unfamiliar foods may not be palatable to your child. Take snacks and familiar foods, but encourage your child to try new things. Transportation. Use public transportation in larger cities. Hop on, hop off buses allow you to stop at sites you want to see. Trains are often a great way to travel long distances. If you are going outside the city, weigh the option of renting a car with your comfort level of driving. Prepare for Emergencies. Most touristy locations have medical facilities with English-speaking doctors, but check your insurance policy before you go. Most policies—even good ones—don’t cover medical in foreign countries. If yours doesn’t, get travel insurance that covers medical. 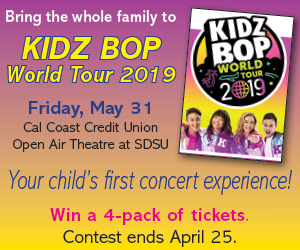 Taking a family road trip this year? 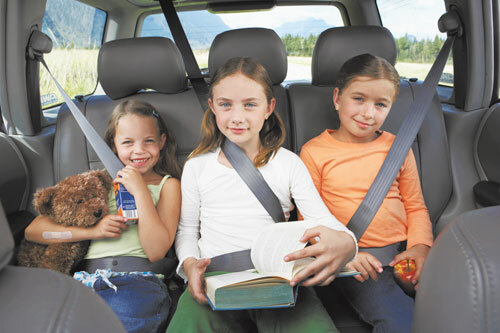 You are not alone—traveling to a vacation destination via car is still popular with families. 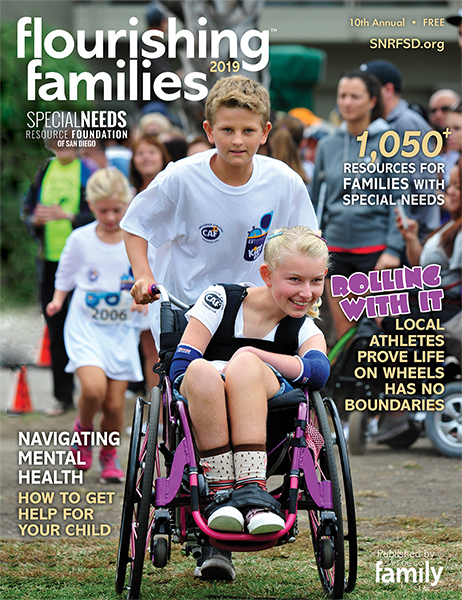 While sitting in a car together for hours doesn’t sound like a vacation to some families, others believe that getting there is half the fun. If you are looking for ways to make your next road trip more enjoyable, check out these eight survival tips. Play Games. Choose classic road trip games that you played as a child: 20 Questions, Road Trip Bingo or the License Plate Scavenger Hunt. Pack board games like Trouble or Battleship (where the pieces stay in place) or card games like Apples to Apples that can be played without a table. Bring a small dry erase board and play Pictionary. Put dice in a clear sealable container to keep them from getting lost while you play games like Dice War or Odds and Evens (explained below). Get Creative. Give your kids an outlet for creativity. Purchase sticker scenes to create their own beach, farm or dinosaur world. Foam sticker mosaics are a less messy version of paint-by-numbers. Take along some colorful pipe cleaners so the kids can make jewelry or fun shapes. Let kids decorate the car windows with washable window markers and stencils. Listen to Books on CD. Let your child use his imagination while listening to a story. Find something the whole family will enjoy. While your family might like a fiction series like Harry Potter, don’t overlook non-fiction books. Check out true stories about inspirational teens, sports heroes or a person who ties into your vacation destination. Start a Conversation. Families are so busy that they often don’t have time to catch up. Not sure how to start the conversation? Get a little help from games like Would You Rather?, TableTopics or the Kids’ Book of Questions. You will be amazed what you learn about each other. Busy Books. Fill binders will fun printables—coloring pages, maps, word searches, mazes, tic tac toe boards—and pack a simple sketchbook and colored pencils so the kids can create pages themselves. Snacks. When we are on vacation, we allow special treats that we usually say no to during the school year. You’ll want to limit sugar since you will be in a small space, but consider letting the kids get a slushee at the gas station or fast food for lunch. Make the Most of Stops. Kids and parents alike need to run out some sillies after being in the car too long. Plus, a little fresh air makes a better trip for everyone. Stop at a restaurant with kid-friendly play space or a rest stop with playground equipment (or blow bubbles or draw with sidewalk chalk). Better yet, pick up a copy of “125 Wacky Roadside Attractions” by National Geographic Kids to see if any entertaining landmarks will be in your travel path. Allow a Little Movie Time. If your car doesn’t already have a DVD player, pack a small one and bring a couple movies. Allow movie time to wind down after lunch or to get through the last leg of the trip. Place three dice in a sealable clear container to keep them from getting lost in the car. Each player takes a turn rolling (shaking) the dice. Players get one point for each even number rolled (2, 4 or 6). If the player rolls a triple even number (all 2’s, all 4’s or all 6’s), the player gets double their total score. When a player rolls an odd number triple score (all 1’s, all 3’s or all 5’s), their total points are zero. The first player with 100 points wins. Place one die in a sealable clear container to keep it from getting lost in the car. Each person takes a turn rolling (shaking) the die. The person with the higher number on their roll subtracts the lower number thrown by the other player and his score for that round is the difference between the two numbers. For example, if one player throws a five and the other throws a three, the person that threw the five will get two points. The winner is the highest score after 100 rolls or a set time. Pam Molnar is a freelance writer and mother of three. Her children are seasoned road trippers and enjoy the car ride almost as much at the destination. 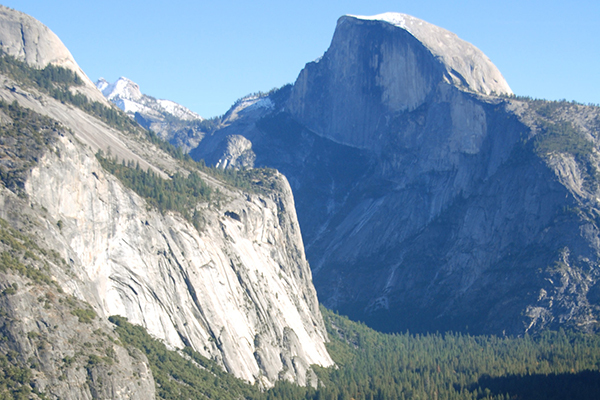 These national parks in Southern and Central California are within a day’s drive of San Diego. Celebrate the 100th anniversary of the National Park Service with a visit to one (or more) of these scenic destinations. Seven of America’s natural treasures are located within 400 miles of San Diego, allowing local families awe-inspiring opportunities to experience everything from crashing coastal waves and majestic green forests, to stark sizzling deserts. Always stop into a park’s visitor center upon arrival to request information on current conditions, road closures and safety alerts. Also ask about Junior Ranger Programs for a fun way to engage the kids. Located off the coast between Santa Barbara and Los Angeles, these five islands are paradise for marine animal and bird lovers; view whales, dolphins, seals, sea lions, sharks and almost 400 avian species. Outdoor enthusiasts will also enjoy camping, kayaking, hiking, photography, boating, snorkeling and scuba diving. Don’t miss the interactive exhibits and Junior Ranger Program at the Channel Islands Visitors Center, located in Ventura. Read more about visiting Channel Islands here. A setting of extremes, Death Valley is one of the hottest, driest and lowest places on earth. Nonetheless, it manages to offer a comfortable visit – particularly in early spring or late fall. Don’t let the park’s name fool you; more than 1,000 plant species and dozens of types of mammals and reptiles thrive within its 3,000 square miles near the California-Nevada border. Visit salt-flats, sand dunes, badlands, valleys, canyons, mountains and mining ruins. Impressive wildflowers bloom from late February to early June, depending on elevation. Be sure to stop at Badwater Basin (282 feet below sea level, and with less than two inches annual rainfall), Furnace Creek (a natural oasis), and the Ubehebe Crater (resembles the surface of Mars). Snow-covered Telescope Peak towers over 11,000 feet. Visitation is fairly steady all year; although cooler months are more pleasant, many come in summer to experience the infamous heat. A variety of lodging and camping options are available within the park. Few places on earth offer such a wondrous and seemingly out-of-this-world experience as Joshua Tree. Located a mere 175 miles away, the park has enormous rock formations, unusual Joshua trees, rugged mountains, sand dunes and green oases. Throughout the year, family-friendly outdoor activities include camping, hiking, stargazing, wildflower and wildlife viewing, rock climbing and bouldering. 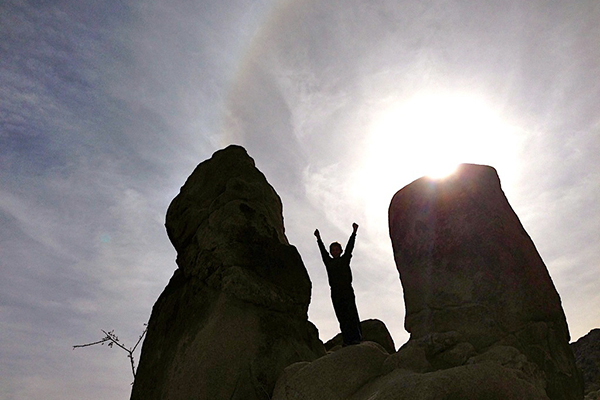 Learn more about Joshua Tree National Park in our article from the April issue. Our newest National Park offers a peaceful, scenic landscape that rests in stark contrast to the volcanic eruptions that formed these geologic wonders millions of years ago. Notably, Pinnacles operates as a rare release site for captive-bred California condors. The park, filled with chaparral, oak woodlands and canyons, also holds unusual talus caves and towering rock spires, along with over 32 miles of trails. 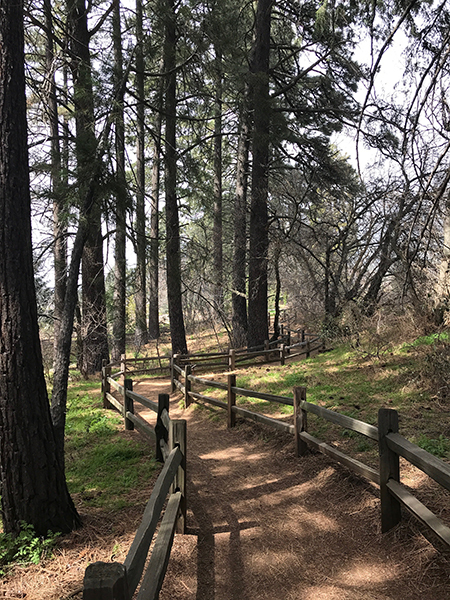 Hikers and climbers love the park’s many adventures, including explorations of Bear Gulch and Balconies caves; enjoy stargazing, wildflowers in the spring, and fall foliage later in the year. Abundant wildlife includes raptors, mountain lions, foxes, bobcats, rabbits, deer, lizards and snakes. Most popular during cooler months, the park has two entrances: East and West. Inner roads do not connect the two. Pinnacles Campground lies within the park and accepts reservations. There is no other lodging inside the park, but find a variety of options in nearby Soledad, Hollister or Salinas. At these adjoining parks in the southern Sierra Nevadas are giant sequoia trees, black bears and mountain lions, one of the continent’s deepest canyons, remote wilderness, huge granite walls, shady forests, peaceful meadows, roaring rivers and splendid waterfalls. The entire region is pure bliss for hikers, climbers and nature lovers. Take a scenic drive along Generals Highway (check road conditions—it can close in winter), which runs between the two parks. Stop at Giant Forest for the one-mile paved Big Trees Trail or to climb Moro Rock’s 400 steps to fantastic views. A tour of Crystal Cave requires advance ticket reservations. 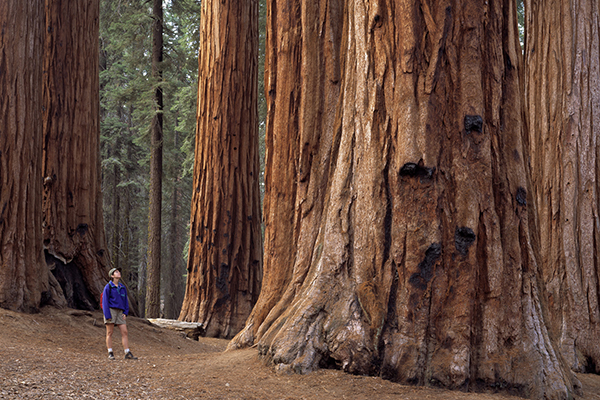 Grant Grove is home to some of the largest trees on the planet and Kings Canyon Scenic Byway (closed in winter) heads into the mile-deep, glacially carved canyon. Weather varies significantly with the seasons and due to elevation changes. Winter conditions can limit accessibility, but also allow for fun snow activities. 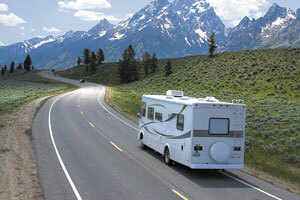 There are four park lodges (two open year-round) and 14 campgrounds. Backcountry hikes include parts of the Pacific Coast Trail and Mount Whitney, the highest peak in the lower 48 states. Yosemite’s majestic beauty is truly a site to behold: the astounding waterfalls, grandiose rock formations, flowering meadows, giant sequoias, panoramic viewpoints, mirror lakes, rushing rivers and remote wilderness areas. Both relaxation and adventure await millions of visitors each year. Yosemite Valley (about 400 miles from San Diego) can be toured via park shuttles and offers a variety of hikes and activities, including many geologic marvels. Cook’s Meadow trail is a serene one-mile walk that offers views of popular Glacier Point, Half Dome, Sentinel Rock and Yosemite Falls (the highest waterfall in North America). El Capitan, an enormous granite monolith, hosts world-class climbers. Lower Yosemite Falls and Bridalveil Fall can be reached via short trails. When you leave the valley, the Tunnel View Overlook is not to be missed. Along with scenic drives and hundreds of hiking trails, there is ample opportunity for photography, biking, bird watching, camping, fishing, horseback riding, backpacking and winter sports. The park is open year-round and accommodations include everything from backcountry camping and campgrounds, to tent cabins and luxury hotels. Park rangers recommend starting the day equipped with plenty of water, food and gas. Wear appropriate footwear and weather protection, use careful footing, and appreciate wildlife from a safe distance. 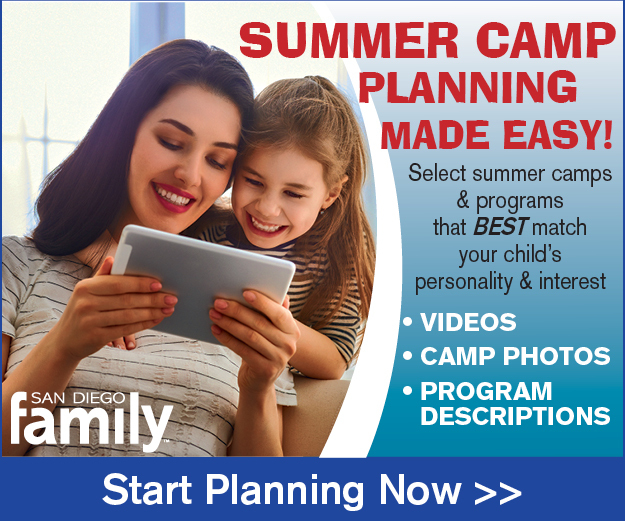 Ready to take your family on a winter getaway close to San Diego? Head to the mountains for a fun-filled winter vacation at Big Bear. Winter activities include skiing, snowboarding, snow tubing and sledding, ice-skating, bobsledding, snowshoeing, zip-lining and snow play — all within a few hours of San Diego! 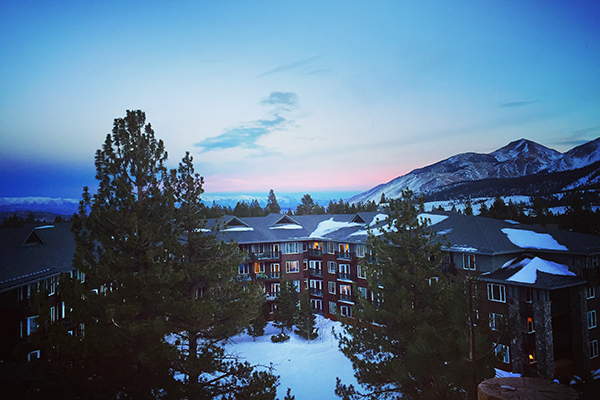 Read on to learn about this family-friendly winter destination. Big Bear Mountain Resort includes sister ski areas Bear Mountain and Snow Summit, conveniently located right in town. You can even ski both in a single day, since a free base shuttle operates between the two resorts and lift passes are exchangeable. Don’t worry about lack of winter storms because snow machines are busy pumping out the fluffy white stuff. Southern California resorts generally rely heavily on artificial snow to operate. For beginners, Bear Mountain is a great place to start. It is home to the region’s largest learning area, with the highest acreage of beginner terrain and a Skill Builder Park, which contains safer, smaller versions of the mountain’s famous freestyle features that attract professional skiers and boarders. 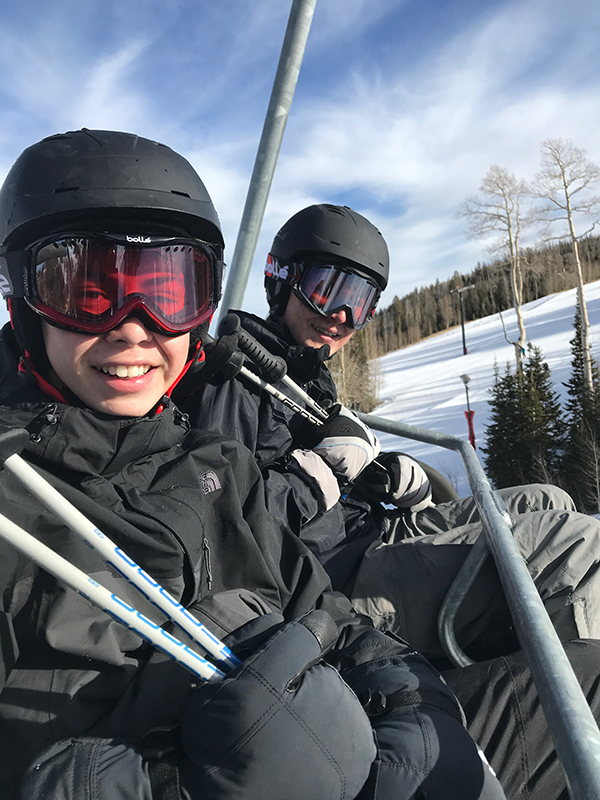 Recent renovations feature two new Magic Carpets – a simple conveyer-belt style ski lift (placed at snow level) to safely transport learners to the top of beginning ski runs. Both ski areas have undergone significant renovations to base lodge facilities, streamlining the equipment rental process and introducing new, family-style locker rooms. Snow Summit offers night skiing, snow tubing, and the Adventure Academy – a one-stop-shop learning center for all kids’ rentals, tickets and lessons. About 20 minutes southwest of Big Bear Lake, Snow Valley Mountain Resort is open for skiing, snowboarding and snow play. If you’re looking for high-speed thrills that require less money, skill and gear than the big slopes, consider snow tubing or sledding. Note: evening sessions are generally less crowded. Options include Big Bear Snow Play’s daytime or evening sessions, which claim the longest runs and offer glow-tubing after dark, Alpine Slide’s authentic bobsledding (daytime only) and snow tubing experiences, and Snow Summit’s Grizzly Ridge Tube Park . All three are served by Magic Carpets, so you can save your energy for downhill fun. Nearby Snow Valley’s snow play area offers a scenic chairlift to access downhill sledding. For some high-flying fun, try a winter zipline tour with Action Zipline Tours. Transportation via shuttle vans and off-road safari jeeps is provided to the 9-zipline course, which also includes an adrenaline-pumping suspension bridge crossing, all located deep within the forest. The friendly guides create a fun, safe experience that will leave your family thirsting for more adventures. Afterwards, you might even splurge on the photo package. Off-road Jeep tours are offered year-round, weather dependent. You’ll also find snowshoeing, cross-country skiing and ice skating. Kids love the Big Bear Alpine Zoo, which features over 60 Alpine animals, including grizzly and black bears, mountain lions, snow leopards, eagles, owls and foxes. The Big Bear Discovery Center offers a wealth of free and low-cost family activities throughout the year, such as nature walks and crafts, snowshoe eco-tours, bald eagle counts and celebrations, and Winter Trails Day – a good opportunity to try snowshoeing and other winter sports. During inclement weather, head over for some indoor fun at The Bowling Barn, which has gutter bumpers for kids and arcade games, or to Big Bear Funplex’s laser tag, black-light mini golf, and ice skating. Big Bear Lake is tucked away in the San Bernadino mountains at an elevation of 6,750 ft., with the surrounding ski slopes rising to 8,805 ft., so be sure to take altitude sickness prevention measures such as drinking plenty of water. For the drive, which is about three hours, you may need to rent or bring tire chains. Check road conditions here. The area’s accommodations range from high-end resorts and vacation condos, to rustic private cabins and budget motels. Many families find it helpful to reserve a place with a kitchen; groceries are readily available. There are also excellent restaurants -- don’t miss Grizzly Manor Café for breakfast, where the pancakes are bigger than the plates. Two adults can easily share a breakfast entree. If there’s an outdoor wait, ask for a cup of coffee to keep you warm. For dinner, head over to Big Bear Village, which is a festive area of restaurants and shops. There, Saucy Mama’s Pizzeria is a favorite – but if it’s too busy, try Fire Rock Burgers & Brews just around the corner. Just be sure to save room for their dessert options, which include ooey-gooey, fresh skillet-baked chocolate chip cookies a la mode, and a variety of ice cream floats. 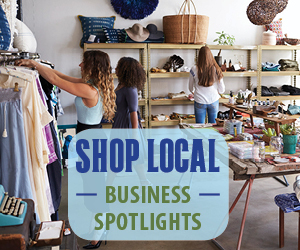 Fun village shopping sites include The Toy Galley, North Pole Fudge and Ice Cream Co., and Bear Essentials gift shop. You’ll also find horse-drawn carriage rides and the Big Bear Visitors Center. To entertain the whole family during this excursion, play smart-phone based local scavenger hunts, or try a geo-caching adventure. More information on where to stay, places to eat, and things to do in Big Bear can be found at www.bigbear.com. Lisa Pawlak is a contributing writer, Encinitas resident and outdoor enthusiast. Photo credit-Lisa Pawlak. Ready to play in the snow? 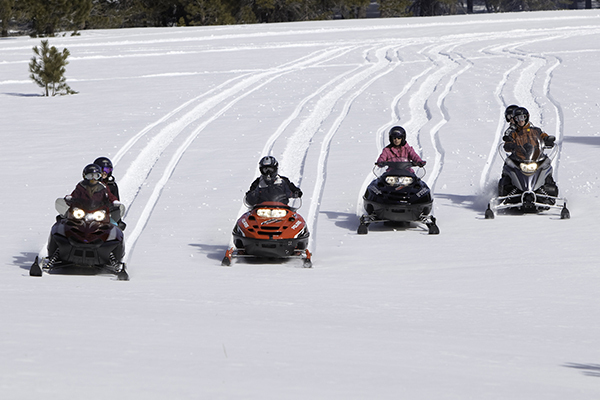 The whole family can enjoy a snowy, active vacation with adventures like skiing, snowboarding, sledding, snow tubing, ice skating, snow people building, bobsledding, snowshoeing, winter ziplining, snow ball fights and more. So, pack up the car and head to the mountains for some good old-fashioned, frosty fun! Here are six winter destinations—all within a day’s drive of San Diego. 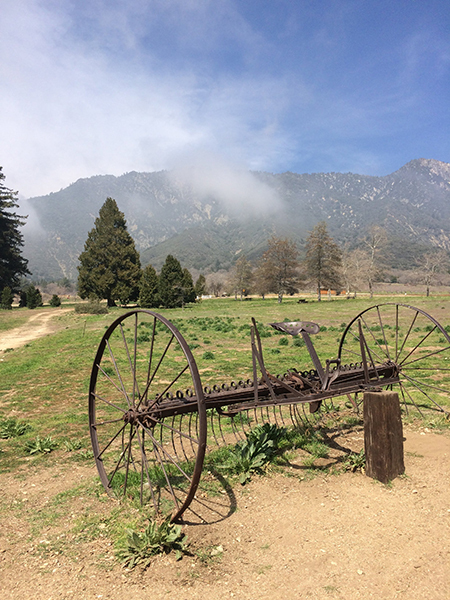 Nestled within the San Bernardino Mountains and accessible for a day trip or weekend getaway, this popular area hosts a range of family-friendly activities. Big Bear Mountain Resort includes sister ski areas Bear Mountain and Snow Summit. 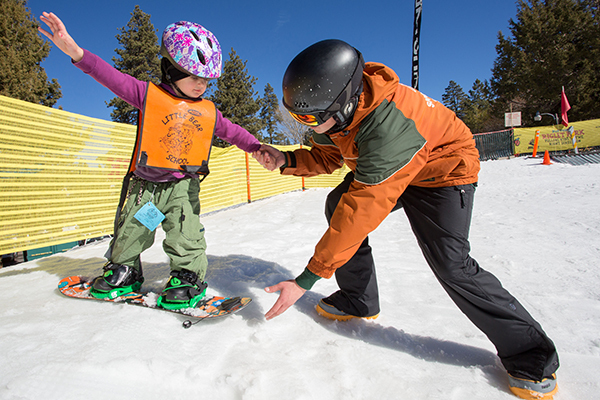 Bear Mountain is home to Southern California’s largest learning area, with the highest acreage of beginner terrain and a Skill Builder Park, which contains safer, smaller versions of the mountain’s famous freestyle features that attract professional skiers and boarders. Recent renovations feature two new Magic Carpets—a conveyer-belt style ski lift (at the level of the snow) that safely transports learners to the top of beginning ski runs. Nearby Snow Summit also offers night skiing and a tube park. Both have upgraded base area facilities, including new locker rooms. Additional winter fun includes Big Bear Snow Play’s evening glow tubing sessions, and Alpine Slide’s authentic bobsliding experiences. You’ll also find snowshoeing, zipline, off-road Jeep tours and the Big Bear Alpine Zoo. Average annual snowfall is 100 inches. About 20-30 minutes southwest of Big Bear Lake, Snow Valley also has skiing and snowboarding, along with a snow play area and downhill sledding. A doable 8-9 hour drive from San Diego, Utah’s highest ski resort boasts a base elevation of 9,600 feet and an average snowfall of 360 inches. 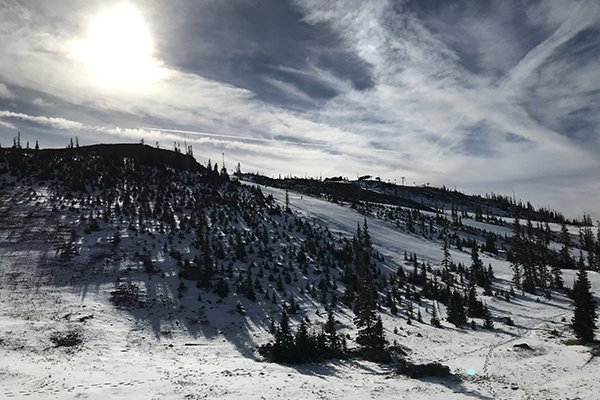 Offering terrain for all ability levels, Brian Head has two connected mountains: Navajo Peak for beginner/intermediate, and Brian Head Peak for a mix of intermediate and advanced runs. 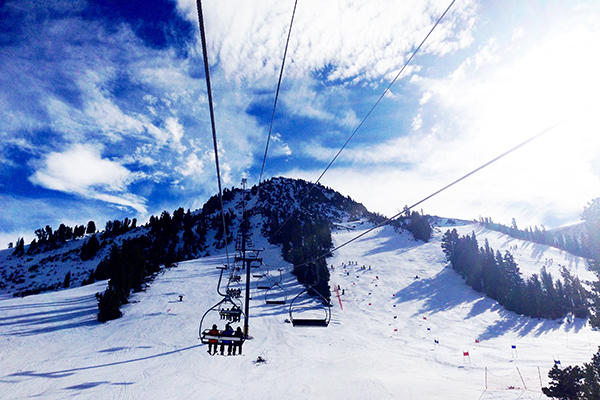 The resort is generally priced lower than many California ski areas, particularly in late season. Other activities include snow tubing, cross country skiing, snowshoeing and more; adults might also enjoy the full service day spa at Cedar Breaks Lodge & Spa. Learn more at www.brianhead.com. Nearby Zion and Bryce Canyon National Parks are gorgeous after a dusting of snow. Read my articles about family travel to Zion and Bryce Canyon National Parks at www.SanDiegoFamily.com/things-to-do/travel. With its crystalline lake waters surrounded by one of the largest concentrations of ski resorts in the world, Tahoe is a true mélange of majestic scenery and never-ending adventure. Drivable in a day, the area is also served by Reno-Tahoe airport. The region has 15 downhill ski areas, an average annual snowfall of 400 inches, over 300 days of sunshine, and more than 22,000 acres of world-class skiing and snowboarding. Resorts include Squaw Valley-Alpine Meadows’ rare mountain-top beginners area; Northstar’s high-end luxury accommodations; Heavenly’s unparalleled scenic views and après-ski scene; and Kirkwood’s off-the-beaten-path, small town atmosphere. A full range of winter activities awaits, including ice skating, sleigh-rides, dog sled tours, cross country skiing, gondola rides, snowshoeing, and an abundance of sledding hills and tubing parks. There’s also excellent nightlife, dining and entertainment. There’s even “snow-ga”—yoga specially designed for pre-slope stretching and post-ski recovery. Visit www.visitinglaketahoe.com and www.skilaketahoe.com. One of California’s premier winter sports recreational resorts, Mammoth Mountain, is located in the eastern Sierras, approximately 400 miles from San Diego, and served by Mammoth-Yosemite airport. Mammoth Mountain is best known for world-class skiing and snowboarding, with California’s highest ski summit of 11,053 ft., over 400 inches of average annual snowfall, and clear blue skies 300+ days each year. Several base lodge areas serve the expansive ski area. The town of Mammoth Lakes offers snow play areas, electric tubing, scenic gondola rides, high-speed snowmobile tours, ice skating, luxury snowcat tours, dog sled rides and more. Perhaps time your trip to include a guided full-moon snowshoe or cross-country tour. Nearby June Mountain, about 30-minutes from Mammoth, is smaller and less crowded, with an average snowfall of 250 inches. 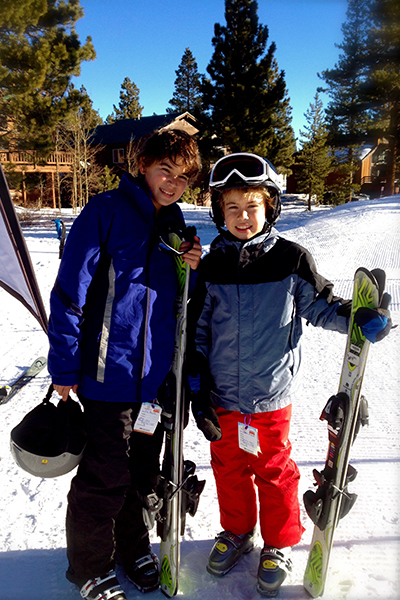 Kids 12 and under ski/ride free. Several ski areas are easily accessible for day trips, just east of Los Angeles. The largest resort, Mountain High, is divided into West, East and North resorts. The North Resort has family-friendly, beginner terrain and is home to the North Pole Tubing Park. Kids 6 and under ski free with a paying adult; visitors receive a free lift or tubing ticket on their birthday with valid photo I.D. Visit www.mthigh.com for more information. The beauty and serenity of snow-covered Yosemite will remain with you for a lifetime. Beyond that, this winter paradise is home to a large range of snow-filled activities, including Yosemite (formerly Badger Pass) Ski & Snowboard Area’s ski lifts, 300 inches of annual snowfall, snow tubing/sledding areas and cross-country skiing. Ranger-led snowshoe walks are offered December through March, conditions permitting; and an outdoor ice skating rink operates seasonally in Yosemite Valley. Find more information at www.nps.gov/yose/planyourvisit/wintersports.htm. Lisa Pawlak is an award-winning freelance writer and winter sports enthusiast. Seasonal activities such as apple picking, visiting pumpkin farms and taking hayrides make Oak Glen popular in the fall, but it’s a year-round destination offering fresh mountain air, fabulous living history experiences and loads of family fun. Oak Glen is just two hours northeast of San Diego in the San Bernardino Mountains. Whether you’re accompanying your child on a class field trip or planning a family day trip or weekend getaway, here are awesome things to do in Oak Glen. From Labor Day to Thanksgiving Los Rios Rancho offers apple picking (pumpkins in early October), live music, hayrides, horse rides, U-press apple cider on an antique press, and tours of the historic packing house. Anytime of the year, shop the country store for specialty food items, adorable home décor and gifts; grab lunch in the sandwich shop/bakery and picnic on the lawn (weather permitting); be sure to set aside time to visit Oak Glen Preserve next door—an absolute delight (see details below). Fun seasonal events include Old West Days (Aug.), an Apple Butter Festival (Nov.) and Apple Blossom Festival (April). Follow Los Rios Rancho on Instagram or Facebook for up-to-date information. Don’t miss this hidden gem located right next to Los Rios Rancho. The Wildlands Conservancy, whose mission is “to preserve the beauty and biodiversity of the earth and provide programs so children may know the wonder and joy of nature,” does just that. Well-maintained nature trails feature interactive Kids Quiz stations that encourage kids to explore the natural world. Discover drastically contrasting eco-regions along a single trail, surrounded by gorgeous mountains. 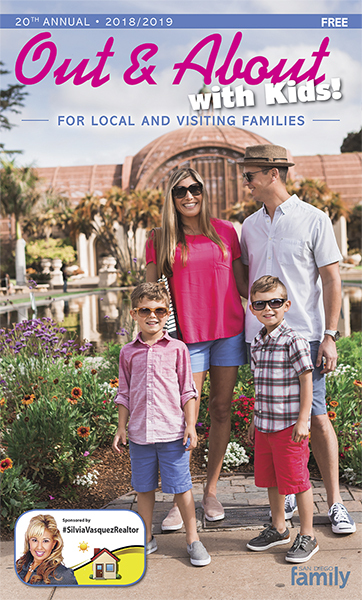 Enjoy the shade of California Conifers, stroll through botanic gardens, find boulders engraved with inspiring quotes and spend time bird watching on a floating dock. Admission is free; donations are gladly accepted. Check the Oak Glen Preserve Facebook page for guided nature walks, junior ranger programs and other unplugged family fun. 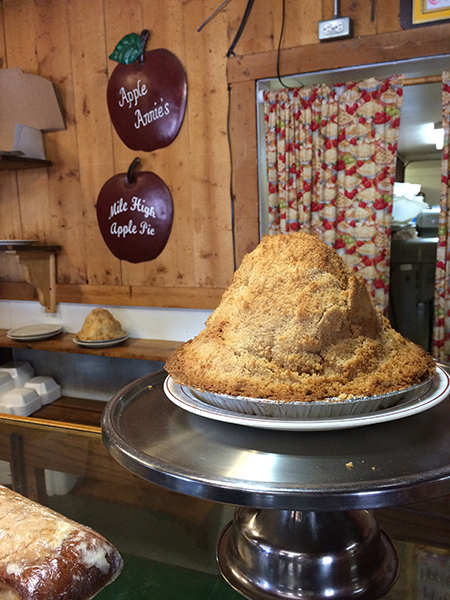 Stop by Apple Annie’s Bakery for a delicious Apple Betty (pastry filled and topped with apples) or a Mile-High Apple Pie (it’s a whopping five pounds!) and Village Candy Kitchen for handmade confections, caramel apples, and barrels full of vintage candies. Kids enjoy the Animal Park & Petting Farm, featuring ponies, goats, pigs, horses and llamas. Oak Tree Village also features seasonal events for families. 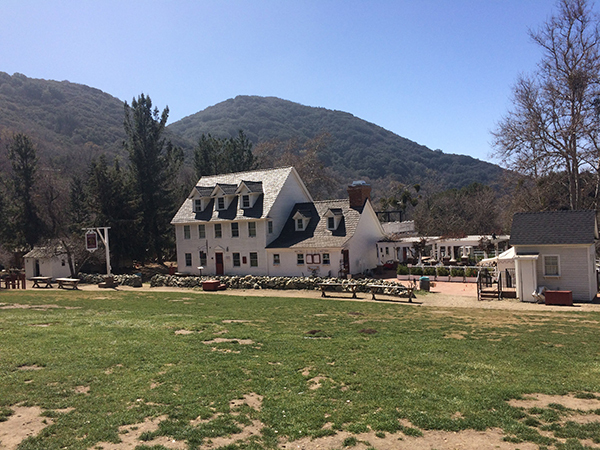 Riley’s Farm offers popular living history field trips to schools all over Southern California, but this working apple orchard is also a fun family destination offering U-pick fruit, interactive educational experiences, a restaurant, dinner theater and seasonal events for all ages. “Adventures in the Old World” activities are available to families on most Saturdays. Participate in candle dipping, tomahawk throwing and archery (ages 8 & up) for a nominal fee. 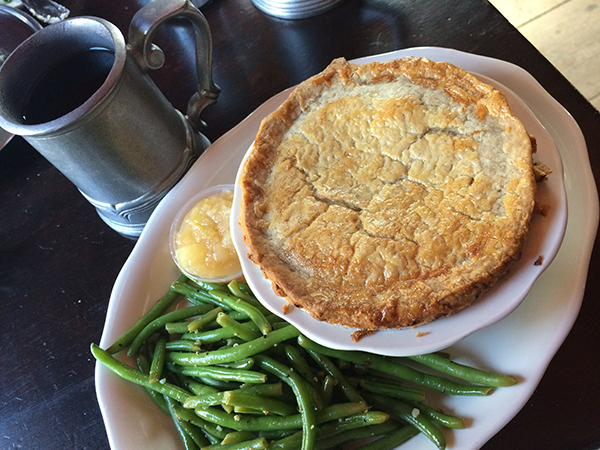 Have lunch at The Hawk’s Head Tavern & Bakery (at Riley’s Farm), known for comfort food inspired by early colonial America (and servers who dress the part), such as homemade chicken pot pie with gravy and a flaky crust. Kids menu available. Annual popular dinner theater shows include Legend of Sleepy Hollow and A Christmas Carol. Make reservations early as they sell out. Riley’s Farm is closed Sundays. Planning to make a weekend of it and spend the night in the area? Check out Hampton Inn in Banning or Holiday Inn Express in Beaumont, both about 15 minutes from Oak Glen. 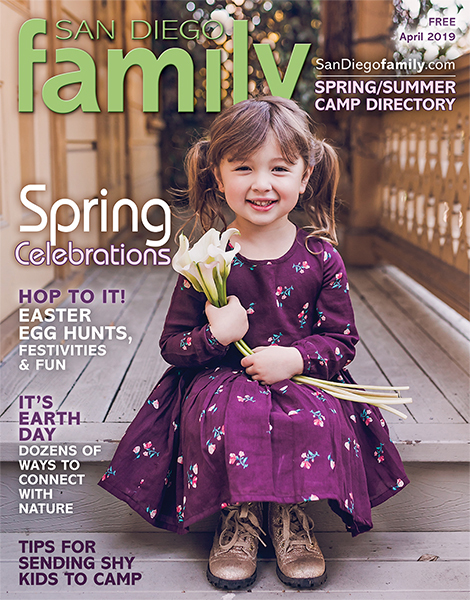 Lisa Gipson is managing editor of San Diego Family Magazine and mom of three girls. The secret is out: San Diego is amazing. In fact, it’s a top U.S. vacation destination. 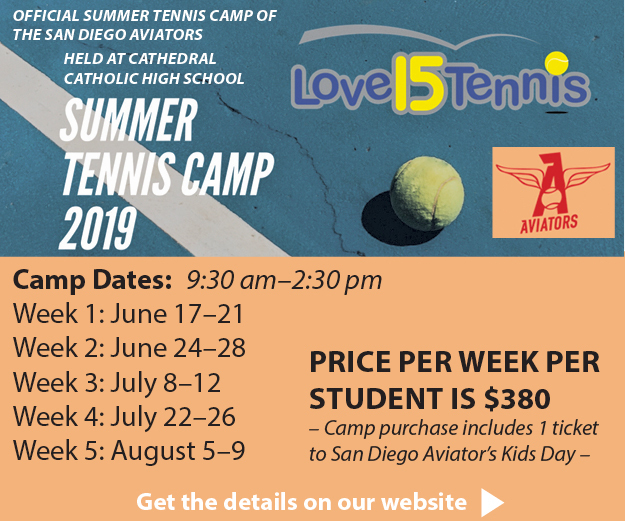 So while the rest of the country is descending upon San Diego this summer, consider venturing away from the crowds for a few days. A road trip to California’s Central Coast offers tons of fun for families and has plenty of space to explore, roam and discover. Add these stops to your family road trip. Have breakfast at Waypoint Café at Camarillo Airport. Sit outside to watch planes land and take off while enjoying Cinnamon Roll French Toast (or indulge in a delicious shake at lunch). 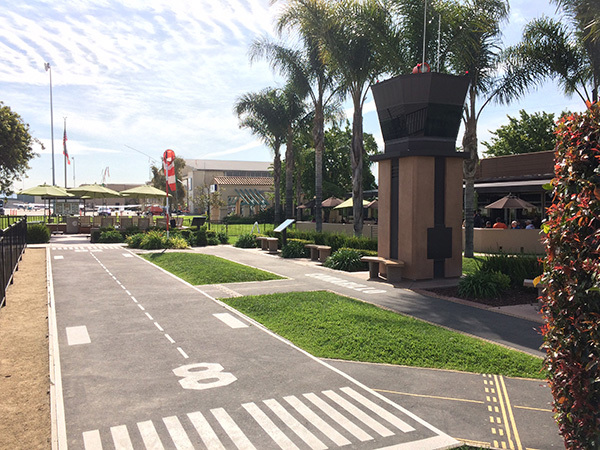 Kids love exploring the miniature “airport” off the patio, featuring a replica of the control tower and runway. Visit this local favorite during the week or at off times, or be prepared to wait. Looking for a relaxing beachside community that is void of crowds? Stay in Oxnard—it’s so awesome. Who knew? I’ve been driving past Oxnard my whole life, having no idea there were pristine beaches lined with sand dunes, miles of bike and walking paths, fun-filled parks, and farm stands selling local produce just minutes off the freeway. If you only go for the day, be sure to visit Channel Islands Harbor for a peaceful family-friendly kayak tour through Marine Emporium Landing or take a gondola ride through the Harbor’s Seabridge Canals. 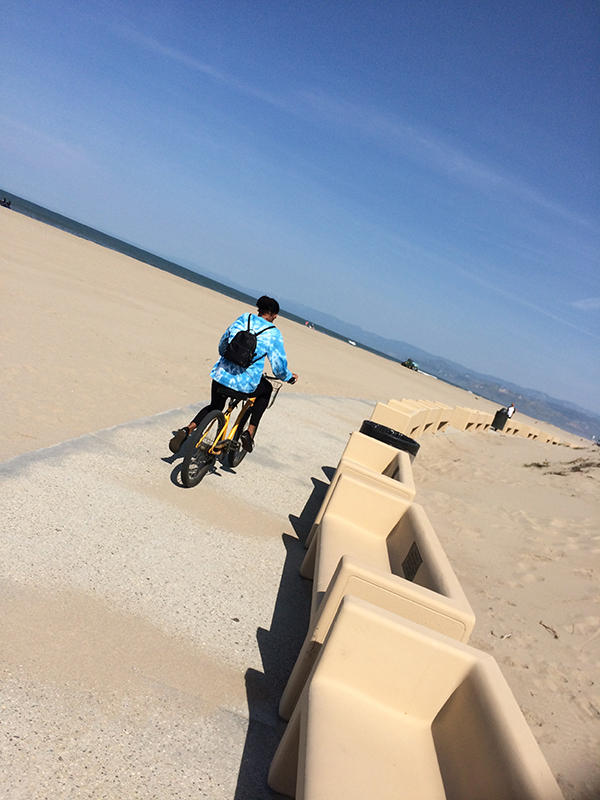 Rent bikes or surreys and take the path along Hollywood Beach and Mandalay Beach, where you’ll find a huge playground to spend a couple hours. Ride the opposite direction to Channel Islands Maritime Museum at the end of the marina. Find more tips about visiting Oxnard here. 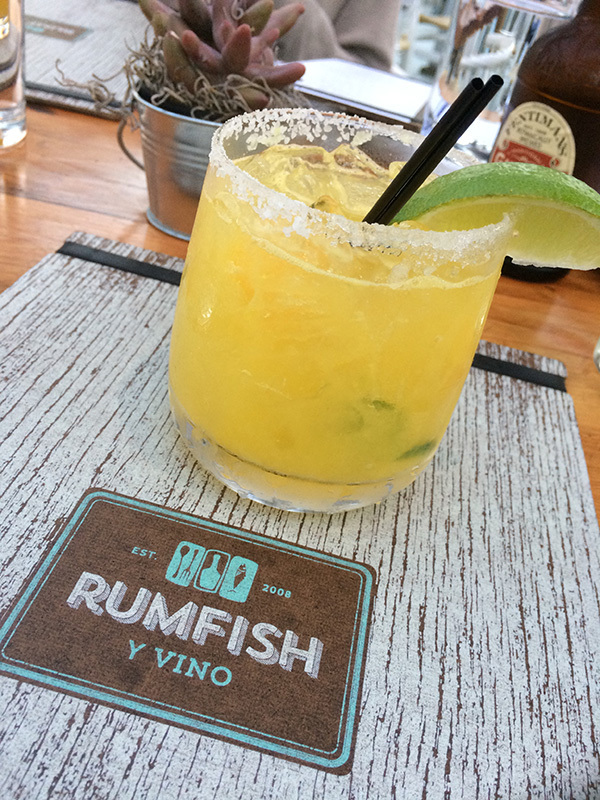 If you have access to a babysitter, be sure to stop in Ventura for dinner at Rumfish y Vino. The outdoor patio provides ambiance perfect for a date—but if your kids are older, even teens appreciate the cool vibe and outdoor fireplace. My husband summed the meal up pretty well, “I'm not gonna lie. This is some of the best seafood I've had." He was talking about the fish stew. I argued that my sea bass was better: perfectly cooked with coconut rice, bell peppers and charred cherry tomatoes. Regardless of what you eat, get a margarita—they’re on point. 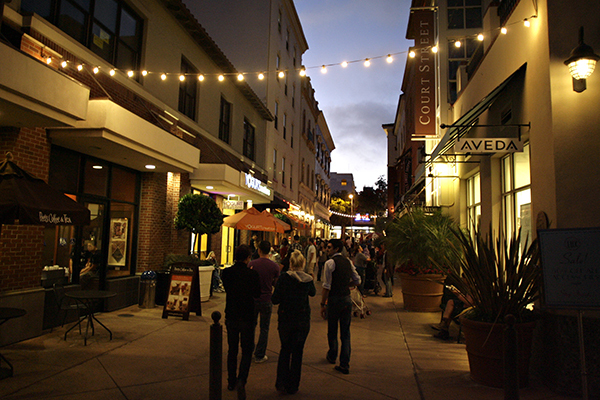 Find more things to do in Ventura here. The new MOXI, The Wolf Museum of Exploration + Innovation is a must-do field trip for families. Indoor and outdoor highly interactive exhibits engage and delight all ages. Make discoveries about sound, light, speed, color, gravity and much more. Our family spent more time than we should have competing at Quiet Quest—a test to see how quietly people can walk through a rock path. Needless to say, I beat my husband and teen daughter at this challenge, but didn’t have as much luck when it came to testing jumping ability upstairs. Don’t miss the rooftop Sky Garden where you’ll find an interactive water exhibit, lookout tower and glass sky deck, not to mention a stunning 360-degree view of Santa Barbara. With surprises around every corner, MOXI is an absolute blast! Plan to spend several hours. Just half a mile off Hwy. 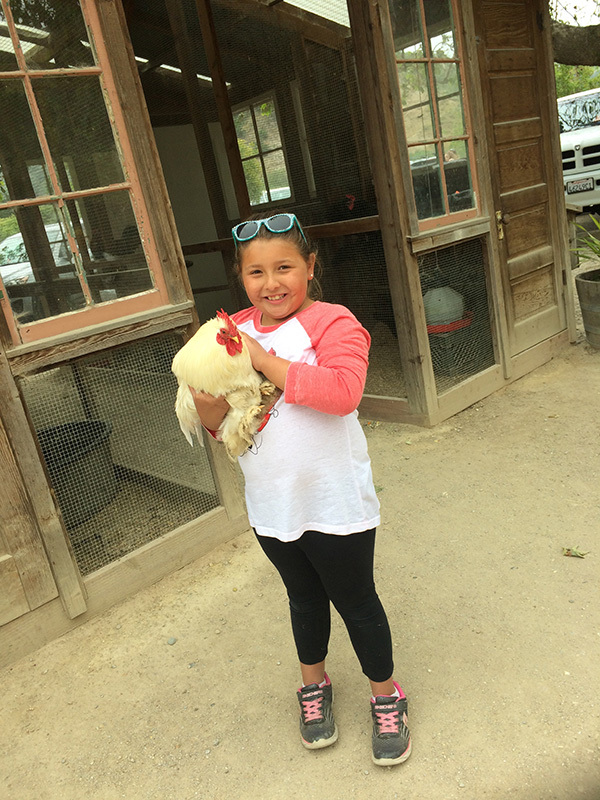 101 (Avila Beach Dr. exit) is Avila Valley Barn, a fun-filled stop featuring farm animals, an ice cream shop with gourmet treats, and a country barn filled with baked goods, fresh produce, and specialty items. There is no entry fee to visit with animals, which include goats, pigs, miniature horses, sheep, alpaca, chickens and donkeys. Kids can even pet and feed some of them (buy a bag of feed in the store). Hot corn on the cob is available right from the corn roaster. On weekends, kids love tractor and pony rides for a nominal fee. Check the schedule online for seasonal u-pick opportunities on the farm. San Luis Obispo (SLO) is heavenly with tons of gorgeous trees and a rushing creek running through downtown. Follow the San Luis Creek path to explore, then cross the footbridge from Mission Plaza to Higuera Street where there’s great shopping, plenty of comfortable coffee shops and infamous Bubblegum Alley. Head uptown to Monterey Street to grab lunch at SLO Provisions, where you might get lucky to find the rotisserie pork sandwich with lemon herb spread and fennel slaw as a daily special. Either way, there are delicious offerings for everyone in the family. If you happen to visit SLO on a Thursday, stay for the evening farmers market downtown—it’s been a local highlight for more than 30 years! 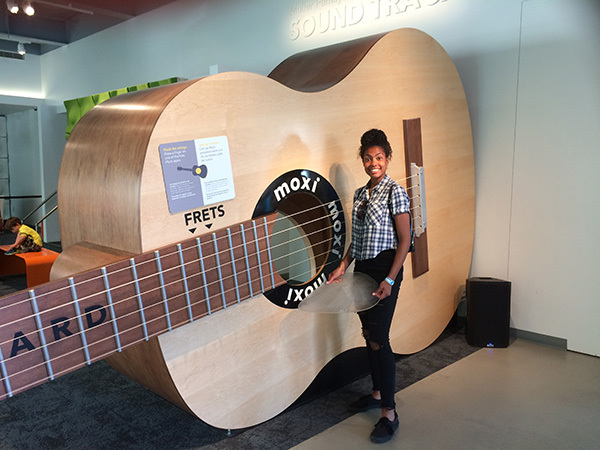 When Lisa Gipson isn’t editing San Diego Family Magazine, she loves to discover new places with her husband and teen daughters. 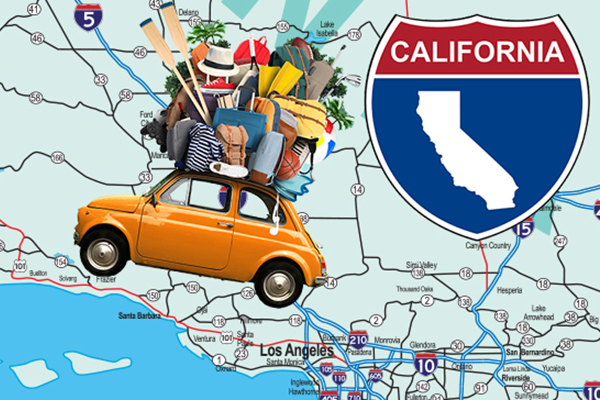 Planning a road trip to the San Francisco Bay Area? Here are five kid-friendly stops from Gilroy (south of San Francisco) to Fairfield (north of San Francisco). Each super fun spot will entertain, educate and inspire the whole family. So start planning your northern California road trip now! 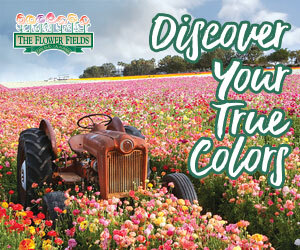 Hidden in the beautiful trees of the Garlic Capital of the World (Gilroy) is a unique theme park that delivers family fun while inspiring an appreciation for horticulture and the importance of trees. Geared towards kids ages 2–10, the park features whimsical rides like the Strawberry Sundae, Artichoke Dip, Garlic Twirl and paddle boats designed like ducks and swans. The beautiful landscaping and majestic gardens create an unusual (but welcome) serene environment amidst the usual fun of a theme park. You have to experience it to believe it. If you visit during the warm summer months, Bonfante Falls, the Water Oasis and Splash Garden are sure to cool down the kids. Gilroy Gardens is closed in January and February. If you’re driving to the Bay Area from San Diego, this could be your first stop as it is located about 80 miles south of San Francisco. Having grown up in the Bay Area, I was a bit embarrassed to admit I had never been to the California Academy of Sciences in San Francisco. My teens were begging me to go, so we did. Wow, what an awesome field trip full of discoveries! The biggest surprise: a huge underground aquarium with a touch-tank tidepool. We could have spent three hours in the aquarium alone, but there were so many other exhibits to explore. Even more impressive is the four-story rainforest featuring free-flying birds, butterflies and exotic reptiles. It is amazing. Other highlights include planetarium shows, the natural history museum, a living roof and the earthquake exhibit. Experience San Francisco’s two biggest quakes with a visit to The Shake House. Families with young scientists-in-training should visit the Early Explorers Cove, a learning play space with activities designed for children ages 5 and under. 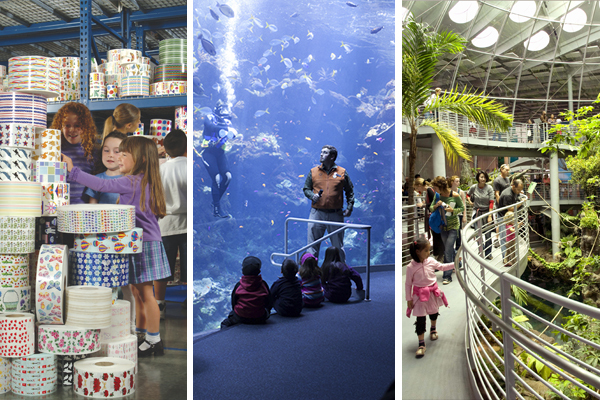 Discover six main galleries featuring hundreds of hands-on science experiments, art activities and interactive exhibits that provide hours of thought-provoking fun. Engage your senses, investigate living things, explore the local environment and “think with your hands.” You’re guaranteed to learn something new. After 44 years at the Palace of Fine Arts, the Exploratorium is now located at Pier 15, not far from the Ferry Building. Factory tours are a blast—and who doesn’t love stickers? Get the best of both worlds at Mrs. Grossman’s Sticker Factory—a family-friendly field trip that is sure to delight all ages. Behind-the-scenes tours of the working factory reveal fascinating sticker history and little-known facts as you stop at six different stations, where each visitor receives free stickers. The tour wraps up with a fun, hands-on sticker art project. A stop at the store is fun for kids and a trip down memory lane for parents. The factory is located in Petaluma, a 40-mile drive north on Hwy 101 from San Francisco. Tours run Monday through Thursday and reservations are required, so be sure to call before visiting. About 60 miles northeast of San Francisco (and directly east of Petaluma), you’ll find the Jelly Belly Factory in Fairfield. It’s a fascinating and “sweet” experience to learn the process of making a Jelly Belly (and the irregular “Belly Flop”), which is detailed in a series of videos throughout the free working factory tour. Other highlights of a visit include tasting free samples, seeing Jelly Belly art, eating Jelly Belly-shaped food in the cafeteria and stopping at the Jelly Belly Candy Store and gift shop. Tours are held daily (except certain holiday) and depart every 15 minutes, but be prepared to wait in line during peak times. Please note that during weekend tours, candy-making machines are not in operation. Lisa Gipson loves exploring and traveling with her family. She is the managing editor at San Diego Family. Photo credits: Photos were provided by Mrs. Grossman's Sticker Factory, California Academy of Science and Chris Picon.